South Carolina Residential Home Builder Serving Hilton Head Island/Beaufort, SC and Savanah, GA. 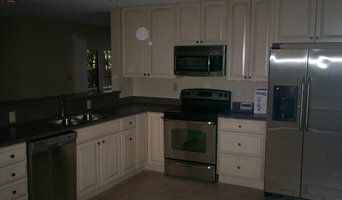 Specializing in Home Remodeling, Renovations and Additions. Design to completion. Licensed, Bonded and Insured. Jrrenovations LLC is Lisenced and insured in all floor covering types. This includes luxury vinyl, laminate, tile, back splash, hardwood flooring and engineered. We offer free estimates and our customer satisfaction eating is at 5 out of 5 stars. We will pass on any discounts we get on materials directly to customer. Call Kevin @ 8645543696 for a free estimate today. Our shop is located on Hilton Head Island, S.C. and all of our projects are hand crafted either in the shop or on-site if required. We handle every detail of the production including design, fabrication and installation. We are proud to work with top builders, architects and companies in the Low Country. Our projects include the 2014 Southern Living Idea House and many Hilton Head Area Home Builders Assn. Lighthouse Award winners. We have the capability of working in steel, wrought iron, aluminum, copper, stainless steel and bronze. Our vast variety of equipment allows us to weld both steel and aluminum on-site as well as operate our bending machine to assure exact measurements on all projects. Welcome to Reclamation By Design. 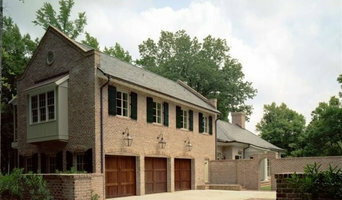 We are a custom home builder located in Bluffton, South Carolina. If you're looking for new construction, or remodel an existing home or commercial environment, we'll work with you to figure out exactly what you need, every step of the way. Ron and Patricia Strimpfel have been building in the South Carolina Lowcountry since the early 1980s. Our goal is to provide our clients with a pleasant building experience, at a cost effective price. Ron is a master carpenter and builder with an extensive background and history in the construction business. Ron's days are spent on-site, with his talented team, building the structures that have given RBD the favorable reputation in the community. Pat oversees the day-to-day operations of the business and project management. Ron and Pat have developed an approach to the building experience that has impressed clients for decades. For over 13 years HOCOA of Charleston has been serving the Charleston tri-county area, taking the hassle out of finding great contractors. Our live and local staff is available 24/7 to serve you! 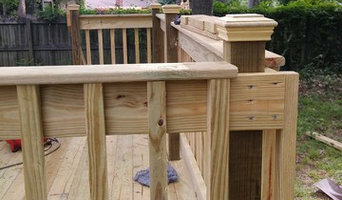 All of our contractors are licensed and insured. Elite Solutions provides Landscape Management and Estate management services to clients in and around the Savannah area. We take the time for you! We provide reliable, responsible, and high quality services to manage your estate, whether you live there full time or it is a second home. Our goal is to come up with a monthly package that will provide you with a worry free lifestyle and a well maintained and monitored estate. Residential property management located in Johns Island, SC. We care for homes with absentee homeowners to ease their mind and keep their home safe. 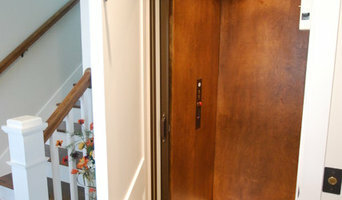 Advanced Lift Solutions specializes in sales, installation and service of residential elevators, platform lifts, dumbwaiters, stair lifts and LULA elevators. New home and existing single or multiple family residence installations. Curtis Gladney is a Master Painter with over 25 years of experience in painting residential and commercial buildings serving the Savannah area with 20 years of serving Skidaway Island. WE’LL TEACH YOU ABOUT YOUR HOME – SO YOU CAN MAKE SMART DECISIONS Seaside Home Inspection Services, LLC is locally owned and operated and proud to serve Hilton Head Island, Bluffton, Beaufort and Hardeeville, SC. We are committed to making your home inspection a beneficial experience that brings you peace of mind and confidence. Whether you’re looking for a team of Bluffton, SC professionals or a handyman for a small renovation, you’ll find dozens of professional profiles and contact information for specialty contractors here on Houzz. Here are some related professionals and vendors to complement the work of specialty contractors: General Contractors, Landscape Contractors, Architects & Building Designers, Interior Designers & Decorators, Kitchen & Bath Designers. Let’s say you want to install custom wood flooring in your dining room, and you’ve found a Bluffton, SC company with excellent reviews. Next you’ll want to contact the company and make some inquiries. Find specialty contractors on Houzz. Look in the Professionals section of our website under Bluffton, SC specialty contractors, then select the nearest metro area for a contractor. You can also look through South Carolina photos of completed projects to see how a contractor might approach design challenges.